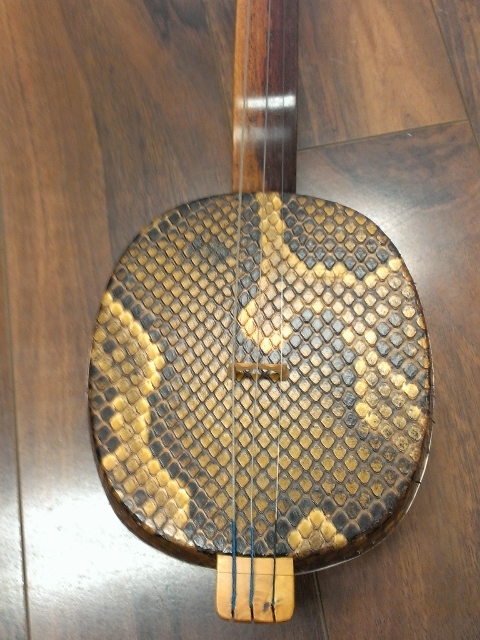 This is a professional grade Rosewood Sanxian made by Dunhuang Musical Instrument. 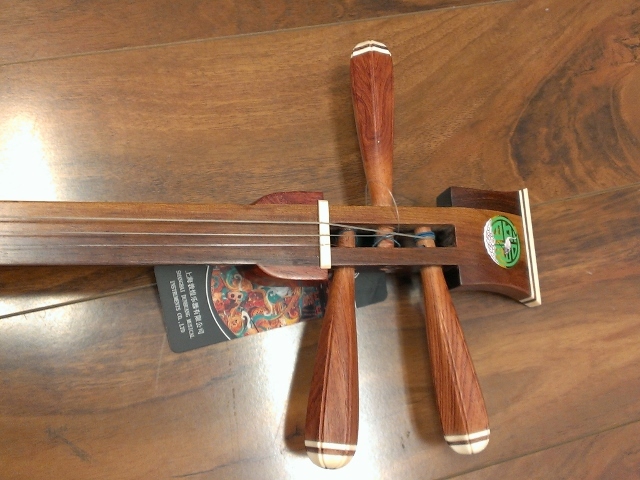 Model#620. 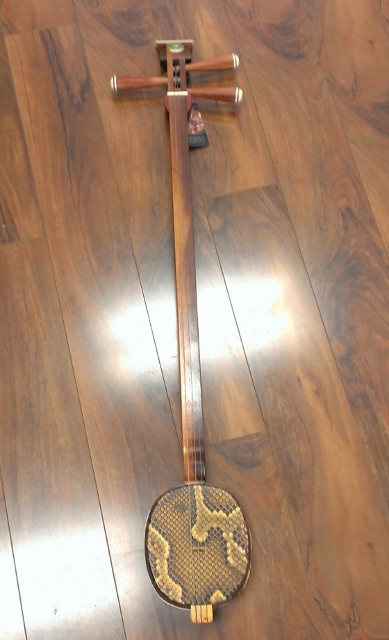 The sanxian (Chinese: 三弦, literally "three strings") is a Chinese lute — a three-stringed fretless plucked musical instrument. 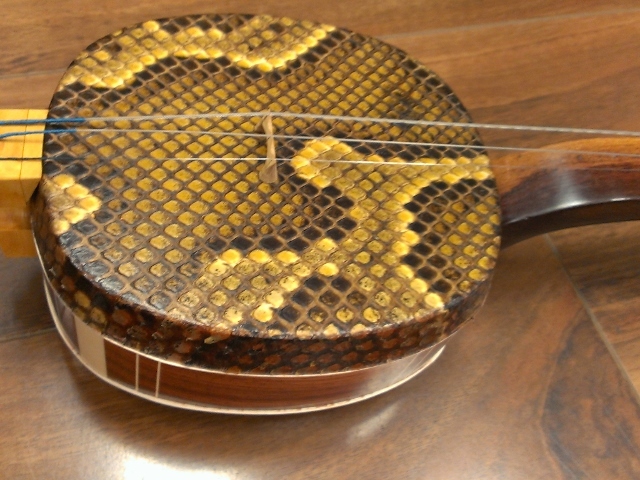 It has a long fingerboard, and the body is traditionally made from snake skin stretched over a rounded rectangular resonator. 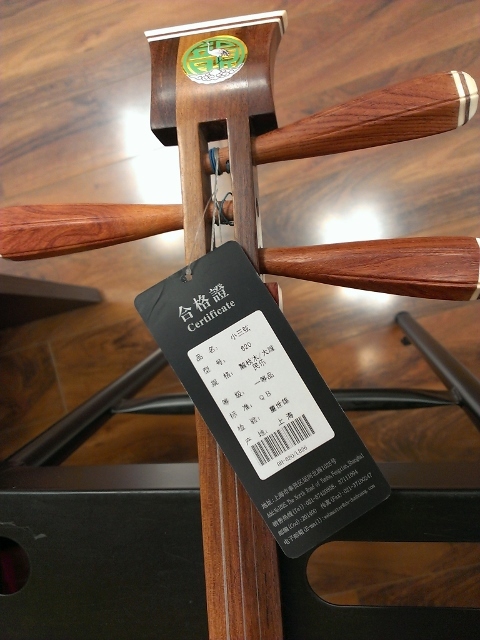 It is made in several sizes for different purposes. 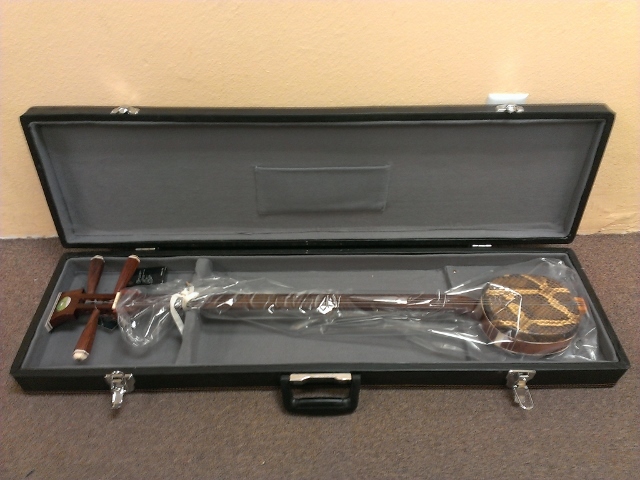 This is southern version with measurement of 39" x 9" x 3" (99cm x 22cm x 7.5cm) The instrument comes with a hard case as in the picture.